Staff register saves time by automating essential reports. All staff have to do is login and print! With EnvisionWare eCommerce Staff Register you can process standard point of sale transactions such as inventory item sales such as USB drivers or book bags, event ticket charges and real-time library fees and fines payments. 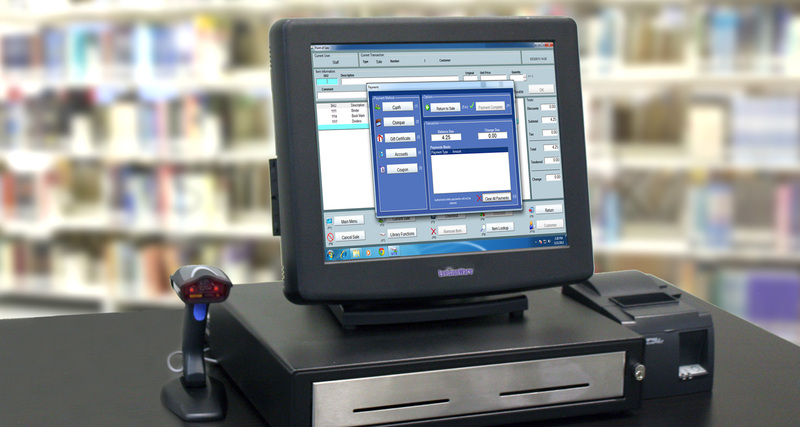 Library-specific functions include fine and fee payment and integration with ILS and database-driven deposit accounts, including the ability to post deposit funds using EnvisionWare’s Authentication and Accounting Module (AAM)™. In addition to robust reporting capabilities, staff can query fine amount and item records on the terminal and accept payments, and the system will automatically post and clear fines in the ILS patron record via a live SIP2 connection or an ILS API.